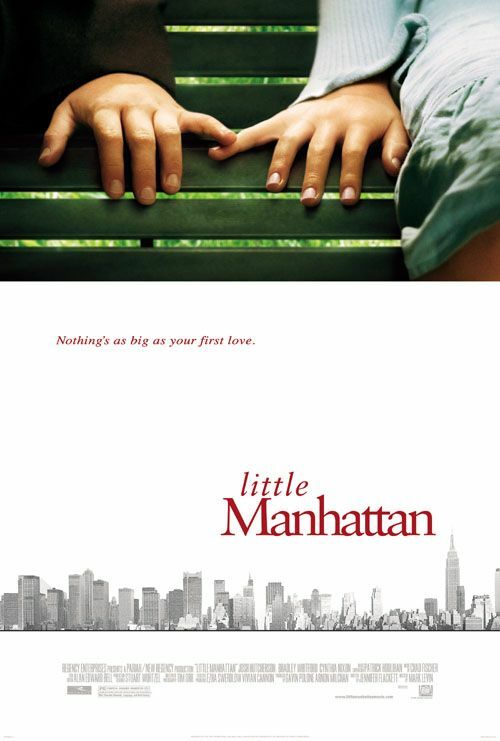 A few days ago, I watched Little Manhattan. This film tells about 10-year-old Gabe who falls in love with 11-year-old Rosemary. The story goes from when Gabe first questions what he is feeling, to the event when he realises that he is experiencing his first love. Near the end of the film, Gabe finally confesses his feeling for Rosemary, but Rosemary tells him that since she's only eleven, she thinks she may not be ready to fall in love.